“The Tithe‘s aim is true—targeting the hypocrisy born of naivete. 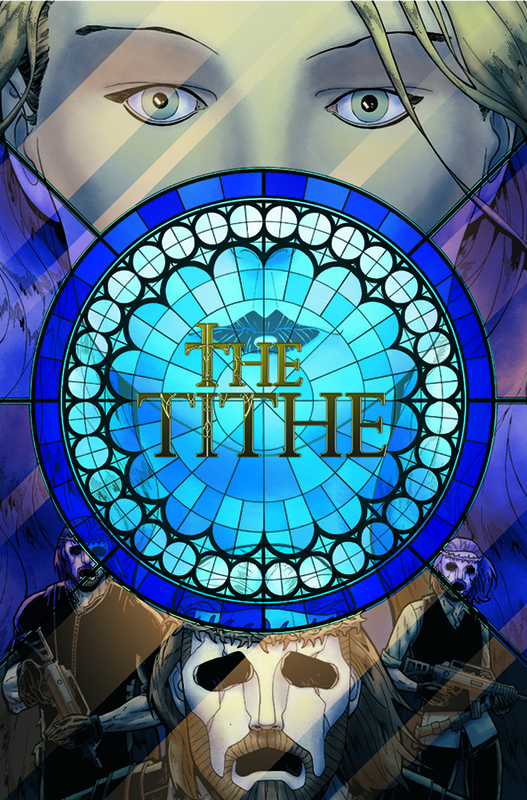 Writer Matt Hawkins (THINK TANK, TALES OF HONOR) and artist Rahsan Ekedal’s (THINK TANK) team up for all-new thriller suspense series in THE TITHE, VOL. 1, hitting stores this September. It collects issues #1-4 of the breakout hit Top Cow series. THE TITHE, VOL. 1 is a heist story unlike any before. Mega-churches are being robbed for millions of dollars by a crusader hacker group known as Samaritan who is giving the money to causes they deem more worthy. This modern day “Robin Hood” is being pursued by two FBI agents who actually admire their quarry but want to stop the theft before it escalates. THE TITHE, VOL. 1 hits comic book stores on August 26 and bookstores on September 8, and will be available for $14.99.